Matthew Walker was the son of a Derbyshire farmer from Etwall. Upon leaving school he worked in Mr Hodgkinson's high class grocery shop which was situated in Derby market place. He also started making christmas puddings and jams in his mother's farmhouse kitchen using her traditional recipes. Word soon spread about his home made produce and in 1899 he opened his first factory in Exeter street, Derby. The business grew steadily and when Matthew Walker died in in 1944, the business was run by his son John. In 1968 John Walker sold the company which was moved to it's present home in Heanor. After several changes in ownership, the Heanor factory became part of Northern foods in 1992. The company supplies many supermarket own brands as well as their own much loved range of puddings which are sold in countries throughout the world. 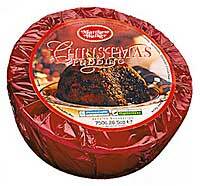 Each year the factory produces around 20 million puddings, each one taking up to 4 days to complete.